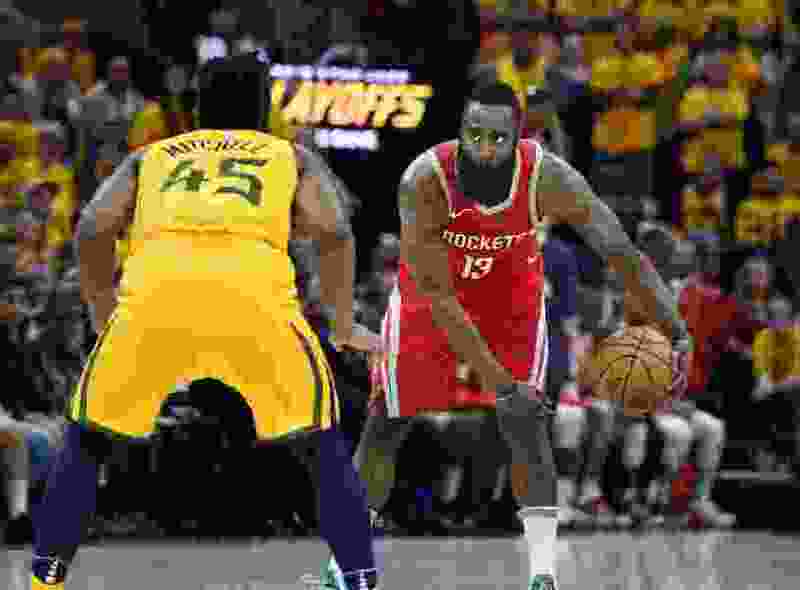 (Scott Sommerdorf | The Salt Lake Tribune) Houston Rockets guard James Harden (13) begins setting up a one on one move against Utah Jazz guard Donovan Mitchell (45). The Rockets beat the Jazz 100-87, Sunday, May 6, 2018. 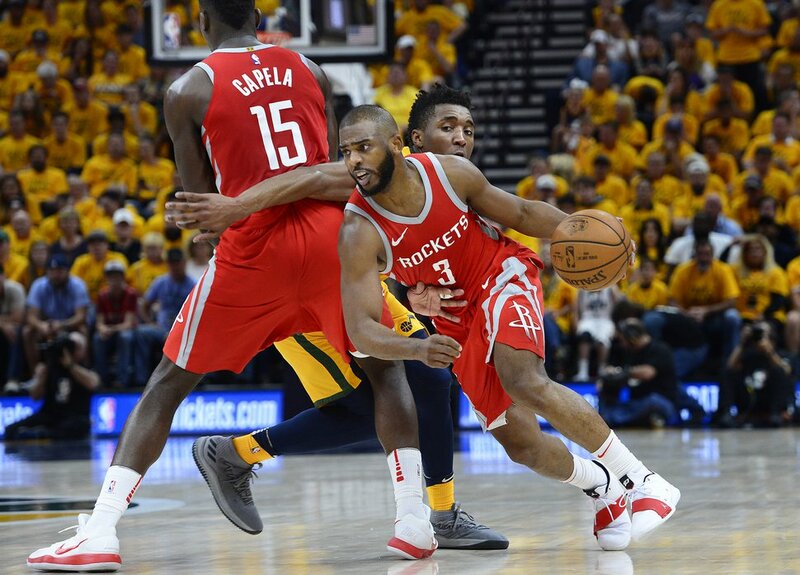 (Scott Sommerdorf | The Salt Lake Tribune) Houston Rockets guard Chris Paul (3) gets past Utah Jazz center Rudy Gobert (27) using a second half screen form Houston Rockets center Clint Capela (15). 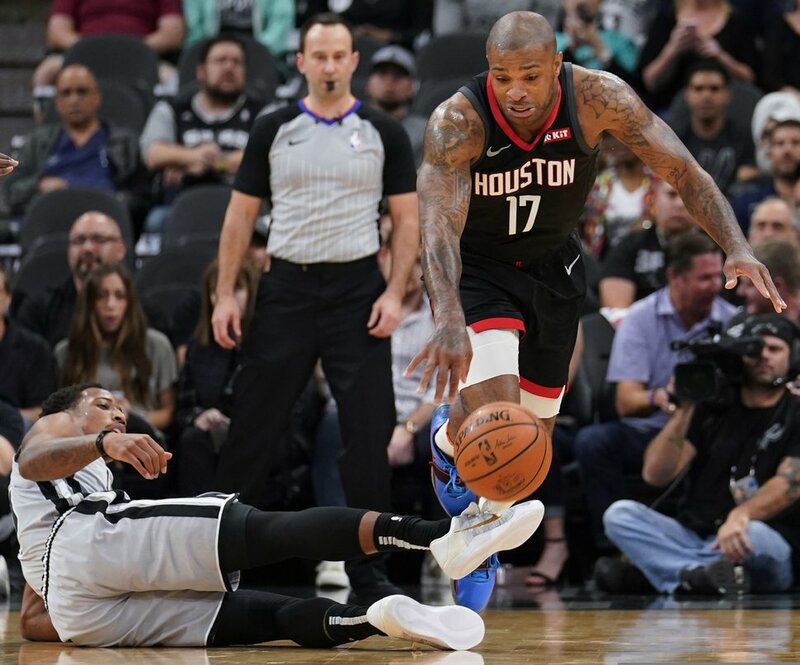 The Rockets beat the Jazz 100-87, Sunday, May 6, 2018. 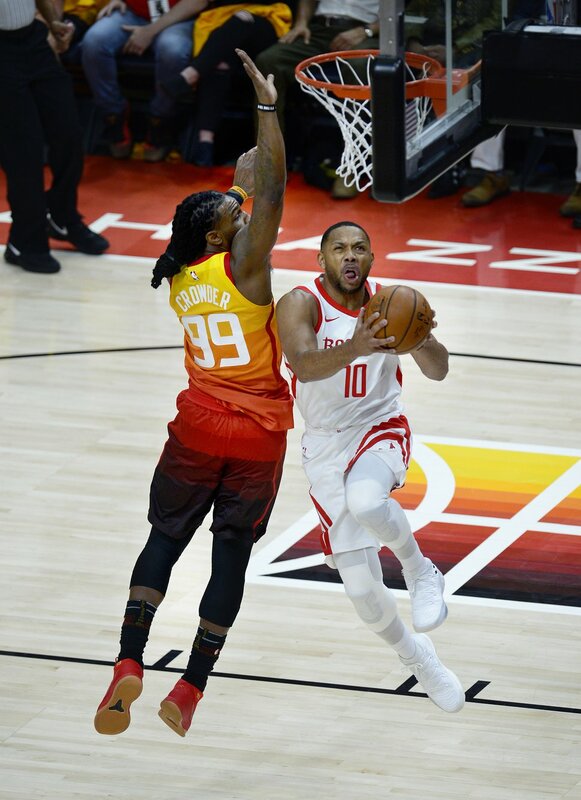 (Scott Sommerdorf | The Salt Lake Tribune) Utah Jazz forward Jae Crowder (99) defends Houston Rockets guard Eric Gordon (10) during first half play. 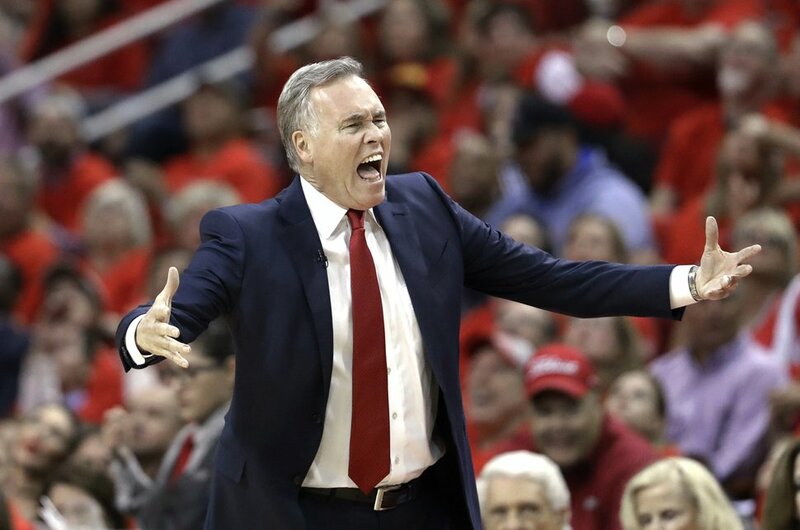 The Houston Rockets led the Utah Jazz 70-40 at the half of game 3, Friday, May 4, 2018. 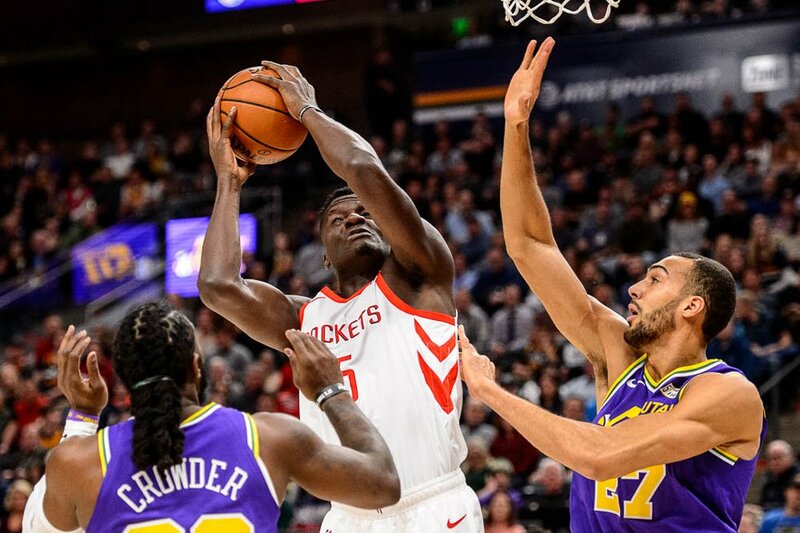 (Trent Nelson | The Salt Lake Tribune) Houston Rockets center Clint Capela (15) shoots over Utah Jazz center Rudy Gobert (27). 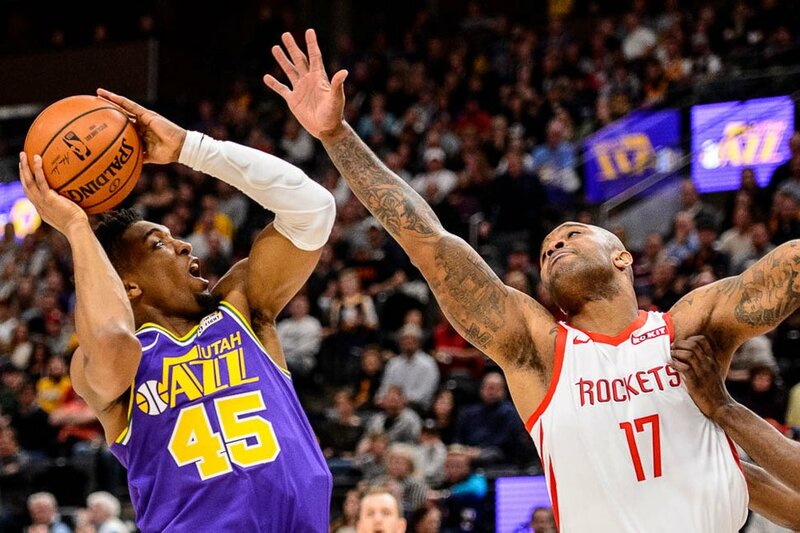 The Utah Jazz host the Houston Rockets, NBA basketball in Salt Lake City on Thursday Dec. 6, 2018. 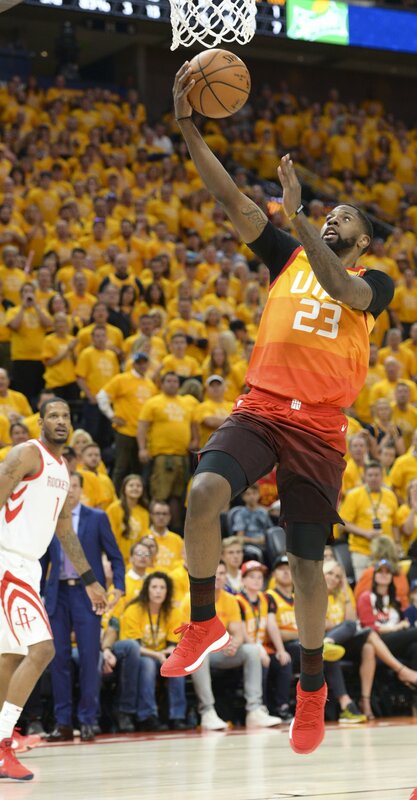 (Leah Hogsten | The Salt Lake Tribune) Utah Jazz forward Royce O'Neale (23) hits the net as the Utah Jazz take on the Houston Rockets in Game 3 of an NBA basketball second-round playoff series Friday, May 4, 2018 in Salt Lake City.